With India’s water levels declining every other minute, it is the remotest regions of the country which have been facing the worst of this crisis. 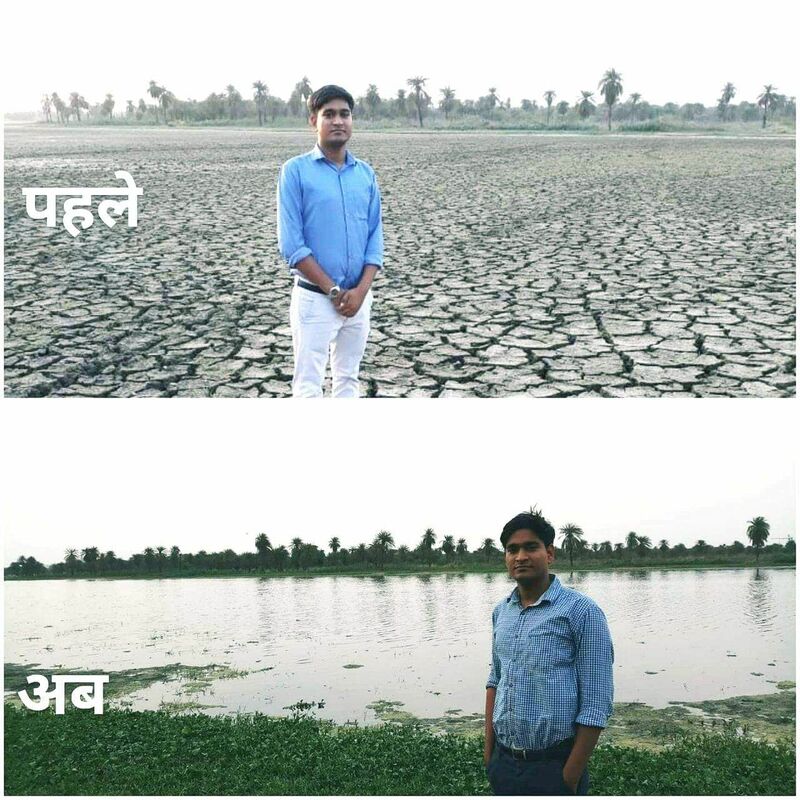 In the little village of Dadha in Uttar Pradesh (UP) however, 25-year old Ramveer Tanwar has become the icon of water conservation. 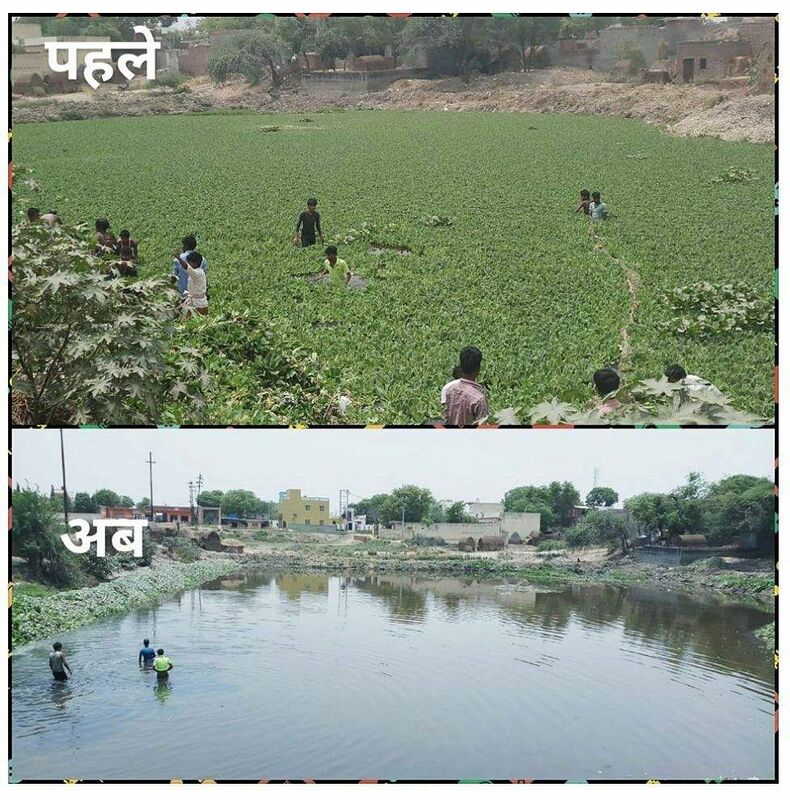 Having revived several dying lakes in his own village and nine others nearby, Ramveer is the superhero UP was probably looking for - what with the state facing 13 consecutive droughts in the last 15 years and with farmer suicides on a staggering rise. Ramveer and I speak in mix of English and Hindi, trying to understand how the quintessential village-boy-meets-city turned his life around to do the work that he does. “I grew up in Dadha, a village little off Greater Noida, playing amidst the lakes and the wells of my place,” he reminisces. “We belong to the Gujjar community, so our main occupation as a family was that of farming - so yes, getting an education, along with helping my father at work came with its own challenges. I drove the cattle for their feed everyday, while attending the government school nearby,” he tells me. That is how Ramveer’s journey began in 2013 - of going from house to house and talking to families about the depleting water resources, garbage control and conserving water. At the start of his journey in raising awareness, Ramveer decided to urge his students to get their parents to a common place every Sunday, to discuss water conservation. “The responses were positive and more people started arriving at the chaupals (common place). Soon we started getting calls from nearby villages as well,” Ramveer tells me. This led to the district magistrate recognising Ramveer’s initiative and officially commemorating it by naming it the ‘Jal Chaupal’. But what about the finer particles of waste which is bound to create slush and contaminate the water bodies? “We have adopted a system where we have encouraged fish farmers of our village to raise at least 10,000 keechad (slush) eating fish, like the katla fish for example. So obviously, the finer particles are eaten up by these fish (which is their staple diet for growth anyway) and eventually these are sold in the market. 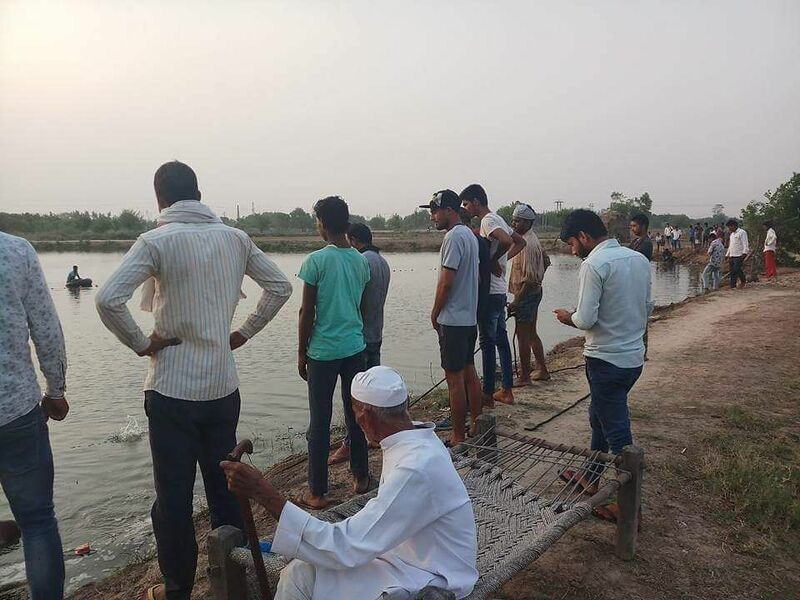 The money made from the sales goes to the fish farmers and is also directed towards maintaining the cleanliness of the water bodies and continue the rearing of the fish,” Ramveer explains. What is better is that the villagers are now fully involved in the process. 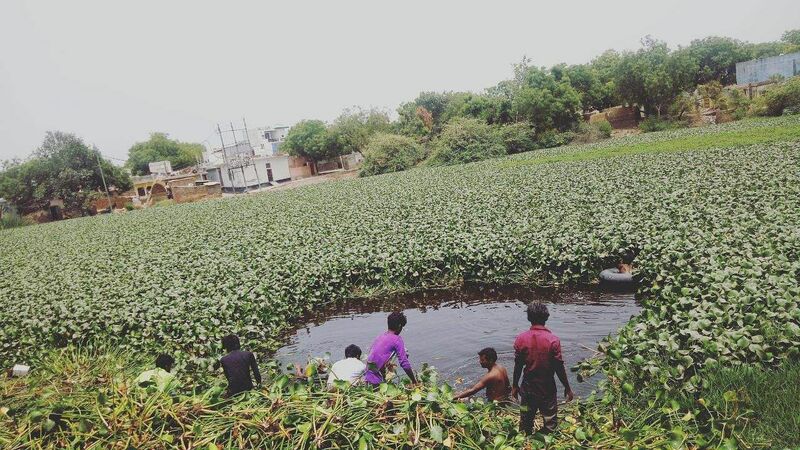 “While I can only ensure that a lake or pond is cleaned up once, it is upto the villagers to maintain it. And the good part is that now it is they who maintain this entire system and its expenses, in a cyclical way,” Ramveer says. Ramveer’s work also attracted activist Vikrant Tongad, who pushed Ramveer to also look into the technicalities of conservation via filing RTIs and PILs. Ramveer soon got into the legalities as well, which helped his case for conservation further. “In 2014, the authorities were trying to convert the Surajpur wetland in our district into an eco-park and children’s park. The wetland attracts different kinds of birds during the migratory periods and turning it into an eco-park would have ruined the serenity of the place. This is when us filing a petition came handy and the development authorities were forced to stop their constructions,” Ramveer says. Today, Ramveer and Vikrant work together in many areas of water conservation. Soon after the success of the ‘Jal Chaupals’ and its results, the government of Uttar Pradesh recognised the immense impact of Ramveer’s work and announced the ‘Bhujal Sena’ - groups of villages which would focus on water conservation. Ramveer is currently the district co-ordinator of the project. “But the government has zero funds for the awareness programmes,” Ramveer says. “Even today, I have to shell out money from my own pocket to fill in petrol for travelling, make banners, etc - things which are important and impactful for awareness talks,” Ramveer says. And this is precisely why Ramveer has to juggle between his eight hour work shift and his work around water conservation. 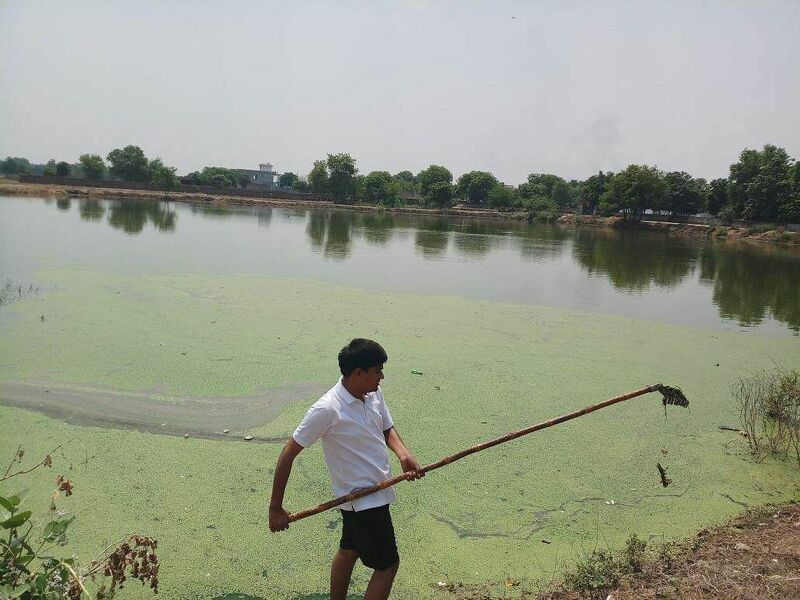 “If I have to continue with reviving the lakes and nature which dotted our childhood, I have to work as well, to be able to fund it,” Ramveer says. He goes to work at 5am everyday, six days a week; is back by 2pm, soon after which his conservation based meetings with officials and villagers begin. Sundays are no off-days either. 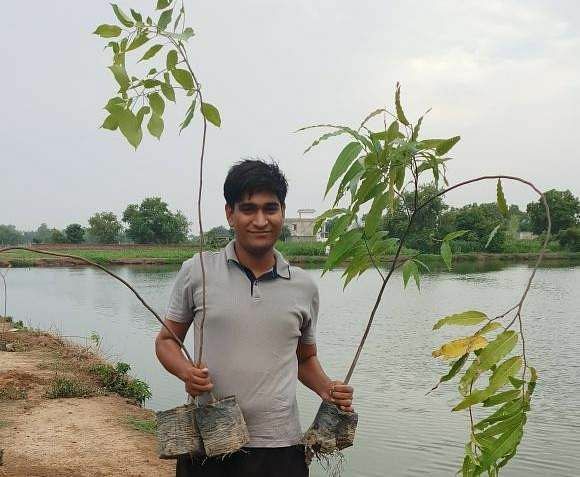 “I have changed nearly five jobs so far, to ensure that I am able to make enough time for continuing my work in water conservation,” Ramveer says. But doesn’t it take a toll on Ramveer, given that raising awareness has always been a challenging task? “It actually doesn’t,” he says. “To tell the truth, it is much easier with the village people - they are more eager to listen and participate. In urban areas, people don’t even want to touch dirty water,” Ramveer adds. Maybe it is the simplicity of understanding among his people which keeps Ramveer doing what he does. “Here we do the work, hands-on. And it is the immediate impact that keeps me motivated,” he says, on a final note.